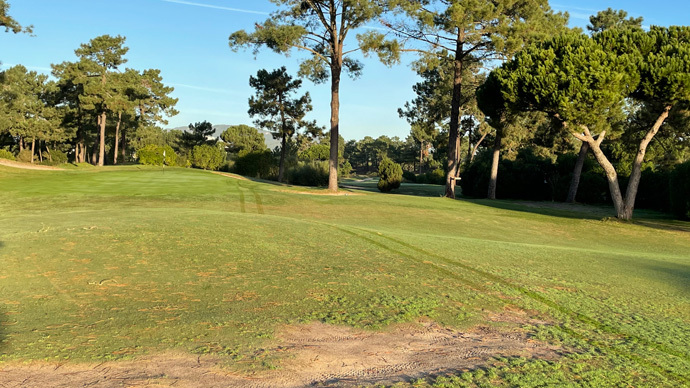 Quinta do Peru is the newest golf course to be built in the Azeitão region between the castles of Sesimbra and Setubal, which is well known for its palaces, its wines and cheeses. 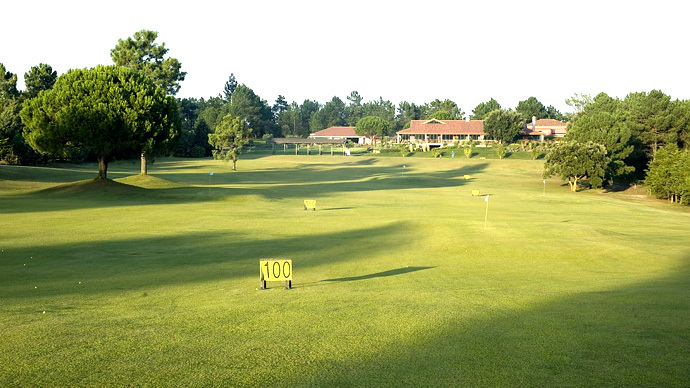 The course, with its many trees and wild flowers, offers a varied start. 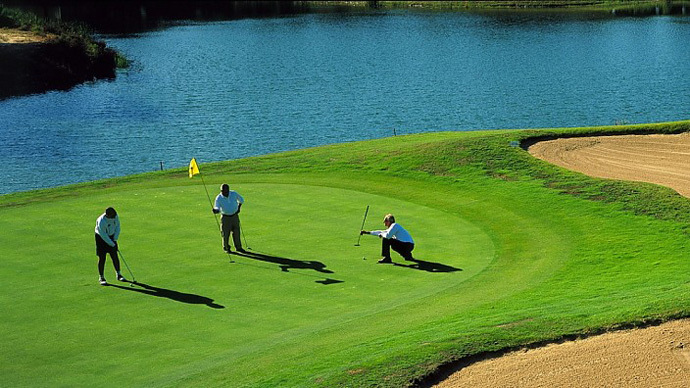 The most difficult test on the course, hole 16, a Par 3 over 200 metres, where one needs to get over a lake to reach the green. 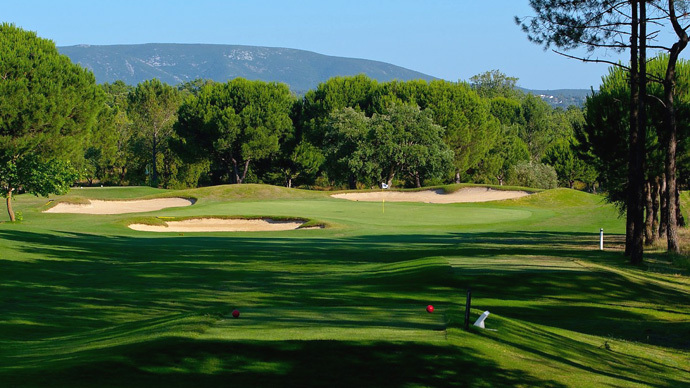 After eighteen holes there is a number of golf-related activities available and also a clubhouse providing excellent views over the surrounding landscape, with the imposing and beautiful Arrabida mountain range in the background. 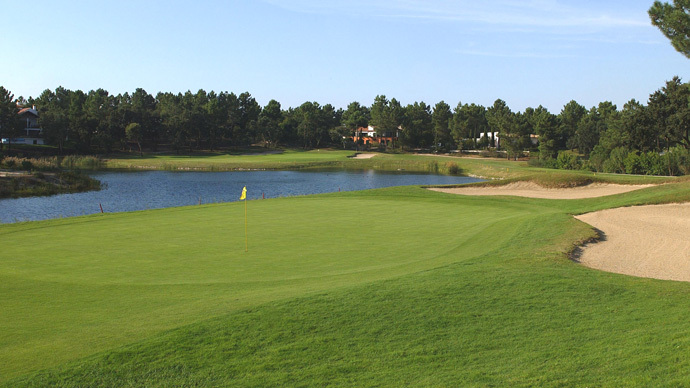 Drive south out of Lisbon on the A2 (IC1) to Spain and the Algarve. Take the Barreiro/Moita Exit and follow the road to Coina. At the second roundabout take the direction to Palmela/Azeitão. When you see the building 'Teljorg Moveis, Lda' then take a right. At the traffic lights at Quinta do Conde drive in the direction of Setúbal on the N 10. You will shortly see a tyre shop 'Silver Pneus' and here you take a right which will bring you to the course. Proprietor: Sociedade Imobiliária e Turistica da Quinta do Peru, S.A.